Craig Breslow is a little surprised that the media has made such a big deal out of his offseason reinvention. After a decade of pitching effectively in the major leagues, 2016 saw him demoted to the minors in May and released by two different teams before the season’s end. The way he looked at it, if he didn’t want to be done with baseball—and he definitely didn’t—he had no choice but to make some major changes. 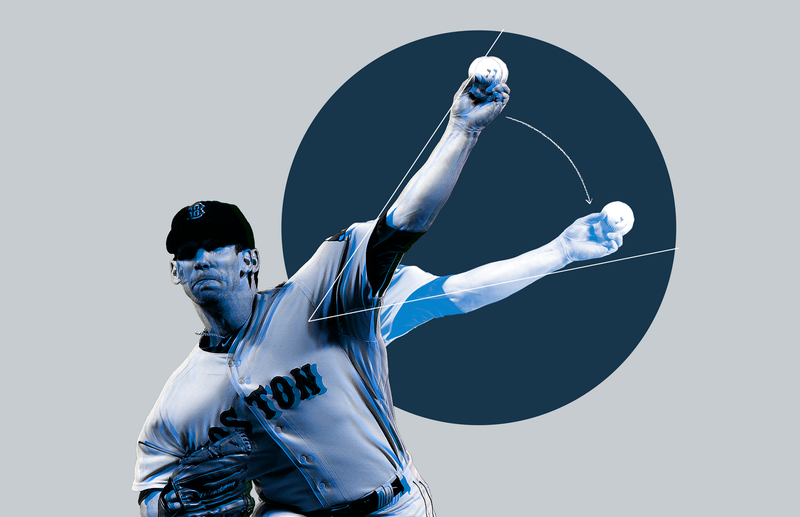 The 36-year-old free agent, who has a Yale degree in molecular biophysics and biochemistry, spent the winter remaking his delivery to feature a lower arm slot and tracking his spin efficiency with the help of a $3,000 3D camera. He mined PITCHf/x for data on what makes certain pitches—like Baltimore Orioles closer Zach Britton’s sinker and Cleveland Indians reliever Andrew Miller’s slider—so effective, and worked to emulate their movement. It worked. Following a January showcase, Breslow received interest from 10 different teams. He reportedly turned down more lucrative offers to sign a minor league contract with the Minnesota Twins, whose chief baseball officer, Derek Falvey, sold Breslow on the opportunity to grow within the organization. Deadspin caught up with Breslow at Twins camp in Fort Myers, Florida, a day after he threw a successful two-inning save against Team USA. Is this something you just got into this year or have you always read BP, Fangraphs, looked at data? I would say advanced metrics, analytics, have always been interesting to me, just being a pretty analytical guy with a science background. It’s not that I hadn’t espoused these ideas, it was more that I just didn’t find them particularly relevant to me while I was throwing well and healthy and having a lot of success. Then when I started to struggle—I would say in 2011 would be the first time—I took a little bit of a deeper dive. I was with Oakland, I was coming off two really good years, and felt like I was kind of going through a little bit of a rut. But I still felt like I was making good pitches, throwing the ball well, just kinda felt like, “I’m getting beat on choppers through the hole, these little shots the other way that are falling in. Is it time to make an adjustment or is this just a string of bad luck?” So I was able take a look at my batting average on balls in play, strikeout-to-walk percentages, swinging strikes, and look at a lot of those peripheral stats and say, “Those are right in line with where I’ve always been in my career, so it turns out this is just a stroke of bad luck and at some point it will normalize. It might be a week or a month or a season, but I think at this point trying to make some kind of wholesale change would be foolish.” And then, sure enough, in 2012, 2013, things did turn around. But then going into ’14, ’15, ’16, I started to endure some sustained struggles and realized that if I didn’t make some kind of dramatic change, I’d probably be out of the game. Do you look at those sort of statistics for batters? I haven’t yet figured out a way to combat some of those things. Obviously it’s good to know who swings at balls out of the strike zone. But beyond that, someone has a great year, usually a consistently a .280 hitter and now suddenly it’s .320 and their batting average on balls in play is like .360, you can look at that and say, “You got lucky, next year you’ll most likely regress back to your averages.” But I don’t know how you face someone who’s in the middle of this career year, cause I don’t think they’re controlling it. So long as they’re not striking out less frequently, or hitting line drives more frequently, they’re just doing what they’ve always done and now their balls are finding holes, I don’t know how to defend. I started to endure some sustained struggles and realized that if I didn’t make some kind of dramatic change, I’d probably be out of the game. How did you settle on Zach Britton’s sinker and Andrew Miller’s slider? So it’s more about what makes a really good slider or a really good sinker? Yeah. And it helps that those guys are left-handed relievers. I know Andrew Miller pretty well and I’ve talked to him about what he thinks about when he’s throwing a slider—the way he grips it, what kind of action he’s looking for. Another guy I’d throw into that mix is Rich Hill, my workout partner in the offseason. Has such a great breaking ball, and he’s helped me in terms of some of the nuances of a breaking ball. But yeah, it was just kind of like, it’s the same way if someone was trying to learn a cutter and they had access to Mariano Rivera, they should probably go there. When you’re throwing now, can you tell based on feel if you’re maximizing spin efficiency or doing it correctly? So, I feel like I can detect variability. I don’t know that I’ve thrown a pitch yet and been like, “That was the maximum spin efficiency,” or, “That was the best action I could get.” But I can definitely say, “That was better than where I’ve been,” or, “I know it needs to be better.” I threw a breaking ball yesterday to Christian Yelich that struck him out and that was one that I felt out of my fingers like, “This is shape I’m looking for, this is the spin I’m looking for.” And the pitch kind of followed those feelings. Is that kind of getting more natural or is that still really conscious? It’s still really conscious and getting more natural. So I think getting on the mound frequently, facing hitters, consistently getting work is going to be the best thing for me. I recognize that this is a process, the organization recognizes that this is a work in process. It’s not so much about the results right now as much as making progress with every outing. I’m getting more and more comfortable feeling when I’m kind of staying in the delivery that I want to be in and when I start to deviate. How hard was it to change your delivery? It was really hard! I remember the first time in the fall when I thought about doing this and I picked up a ball and threw and videoed it. I felt like I had dropped my arm slot two feet and it was probably closer to two inches. When you’re used to doing something for 25 years, trying to make a pretty drastic change can be really, really difficult. But I would say, I have a lot of support, a lot of incentive to do this. And also, some of the technology available to a guy like me today, as opposed to if I were trying to do this five or 10 years ago, is very different. And so that’s certainly facilitated, probably, the efficiency with which I can make adjustments. Are you still using the [fancy camera device]? I have the device. I didn’t want to show up at spring training and pop out this tripod with a camera on it. Well, you guys have made a big enough story of it that everyone is kind of aware of what’s going on. I think the organization actually met with the company to kinda get a feel for the device. I think it will be a really good tool to kind of keep me on this path. It probably wouldn’t be a bad idea to kind of throw a bullpen in front of it in a couple of weeks to just kind of say, “Where am I today and how does that compare to where I want to be and where I was?” I took some data in October when I first started, in December as a kind of progress report, and then later in January as closer to, not a finished product but the product I’d be taking to spring training. Now, if you’re pitching in Major League games you’ll have even more data, access to all the Statcast stuff. Is that something you’ve thought about? Are you surprised that people have made such a big story out of it? Um, a little bit. Only in that, I recognize that what I’m doing is novel in this industry, but it’s probably not in the universe for someone to say, “Oh you’re trying to change something, you’re going to use something that tracks and measures your change, you’re going to lay out some measurable goals and you’re going to see if you’re successful.” Like, scientists having been doing that for the last 5,000 years. It’s interesting that with baseball, the people covering it have more data, or care more about the data, than the people playing it. I agree. It’s a conversation that I’ve had with a number of people which is, organizations will start to evaluate players with data that players don’t have access to. And that seems like a pretty significant handicap. And I think teams now recognize the value in some of this data. But there’s probably a little bit of a disconnect between the front office personnel that are the staticians and the people that are analyzing the data and getting it to players in a way that they can digest and implement. But I think you’re starting to see, with the creation of these baseball analytics departments, a recognition of that need to take the information that someone who maybe has never played baseball, is calculating, and hand it off to someone who kind of bridges that gap and gets it to players in a way that they want to use it. Do you see yourself as someone who kind of bridges that gap? I think I could be. I’ve had that conversation with Derek [Falvey] before, about kind of being ... obviously being a player gives you some credibility, being a guy with a scientific background and who understands what this means is a layer of credibility, and if I can talk to guys who initially kind of shun this information and present it in a way that makes a lot more sense, then great. Have any younger pitchers asked you about it? There are guys who have asked about what I’ve been doing, why I’m doing it, how I’ve used the data. Kyle Gibson is a guy, we had a conversation a couple days ago. And for me, this information was part of the recipe for wholesale changes. But it doesn’t have to be. This information can be just as useful to identify what guys do really well relative to other pitchers and what they struggle with relative to other pitchers and what that means for who they should be as a pitcher. I think a lot of guys just believe, “Oh I should throw fastballs down in the zone, I should sweep breaking balls off the zone.” It’s like, “Well, wait a second, let’s take a look at your spin rate. Let’s think about perceived velocity and figure out maybe you should be pitching up in the zone.” I’m not changing who you are or what you do, I’m just asking some questions about how you can potentially be more effective if you optimize pitch usage. How did you pick the Twins? Probably for some of the same reasons I just touched on. Obviously the most important part to all of this was the path to making a team. The Twins are a team that struggled last year. They’re not hiding from that fact. I think that there’s some really young, talented core players here. And then from conversations, it was pretty clear that the new front office was coming here with a really refreshing perspective on the vision they have for this organization. The way that they’ll get there. Derek and I talked in length about an appreciation for the totality of my value. The idea that I could contribute beyond just getting outs through some of these things that we talked about, since I recognize that more than likely I wasn’t coming into spring training on day one in midseason form, the way that I would have in the past if I was were with a team. Given this offseason, Derek was pretty adamant about recognizing that this is a work in progress. What’s important is taking steps forward in my outings, kind of projecting where this is gonna look in June, July, August, and September and not February 15th. And that was important to me. Do you see yourself filling a particular role in this organization? I’ve always been willing to pitch in any role, I still am. When I took on this venture it was with the idea that I’d be tougher as a left-on-left reliever. As a left-handed reliever, above all else, I need to be able to dominate left-handed hitters and so I thought dropping the arm slot, getting a little bit more movement, would give me a little more deception, give me more of a true left-on-left breaking ball that has most horizontal and vertical movement, more swoop. I like the progress that I’ve shown in that regard. I also, throughout my career, have always been successful against righties, which is unusual. And it seems like that will still be the case, given that I’ve been able to throw my changeup from that lower spot. I’ll let the coaching staff figure out where they want to use me, but I feel comfortable really wherever. You see to have a really healthy sense of self about strengths and weaknesses, is it psychically hard to remake yourself after so many years? I don’t think at 36 years old, almost 10 years in the big league, you can not have a pretty astute awareness of yourself and be willing to completely reinvent yourself. Yeah, that’s sort of what I mean, was it humbling, hard to admit? It was. That’s, I think, the reason that I didn’t make this step earlier. I was a little banged up in ’13 and ’14, spent some time on the DL, so when I struggled, later on in ’14 and even into 2015, still could kind of point toward injury as a potential excuse-slash-explanation for this. But then 2016, I was healthy, I was healthy from Opening Day to the end of the season and struggled, spent some time in the minor leagues since 2007, I think. But still loved playing baseball and couldn’t imagine there being anything else that I wanted to do more. I wouldn’t necessarily call this a choice or an option because the alternative was to like, probably, put on khakis and go into an office. If I wanted to keep playing, this became, to me at least, apparent as the only avenue. Do you think that’s why some guys are resistant to the advanced metrics, they don’t want to know what they’re bad at? Possibly. I mean, egos are really sensitive. Especially in sports. I just think, a lot of people subscribe to the “If it ain’t broke, don’t fix it” adage. Especially in sports. And so we’re resistant to change, because the first thing that someone will typically respond with is, “Well, what if it makes me even worse?” As opposed to thinking this is what will take me over the hump or give me an advantage. And so I think we kind of resist change because feeling comfortable is so important to guys. But, I mean, you’re talking to a herd of people who show up to the field at the same time and eat the same thing and put on their uniform the same way, and now you’re asking them to embrace a potentially completely drastically different body of ideas. Does it feel good to pitch from the lower arm slot? It does. There’s the like, mental and mechanical component to this. Which, you know, I’m still wrestling a little with consistency. But physically, when I first started this and I lowered my arm slot, I used a device, a sleeve that measures stress, and the stress on my elbow actually went down as velocity went up. So the obvious question is kind of like, “Why haven’t I been doing it that way for the last 30 years?” But so, from a physical perspective, I think I can stay healthier, I think I use my body more efficiently from this delivery. And then the second part of this, I had a conversation with Zach a couple days ago, where we were just kind of talking about where I was in this whole process. It’s like, I think I’m getting to the point where I can have an answer to how do I get people out. Well, a sinker and a breaking ball. As opposed to having carved out almost like 10 years without really being able to answer that question. Like if you were to go to a scout and say, “How has Breslow gotten guys out for the last eight years?” I think they’d be like, “Pitchability ... command ... he’s a smart guy, maybe guile.” Like it’s nice to go out there saying, “I’ve got a left-on-left breaking ball that I can sweep across the plate and get some swings and misses. And I’ve got a sinker I can run in on them.” It’s really nice thing to be able to know what are your skills, and then I can tell you. So from that point, the confidence that I have to be able to go out there and say, “Here’s a pitch I can throw that I think can be effective consistently” is really refreshing and encouraging.